The St. Louis area has faced a lot of racial tension over the last few years. There have been riots and protests and calls for the elected officials to address the problem. Nevertheless, nothing has been done to make St. Louis a more peaceful place among its black and white residents. Crime rates continue to soar, and business owners have become even more scared and protective of their stores – that’s why one Family Dollar location posted a sign that has sparked outrage for its potentially racist warning. The manager of the store did not mean anything by the statement other than what it said. However, since hooded sweatshirts are often associated with African American people, posting a message like that is not as simple as it seems. It comes with baggage and connotes a message that targets a certain demographic of people for no reason than beside the type of clothing they decide to wear. The store wanted people to have their face’s exposed so when they entered the store, they could get their faces on camera. On Twitter, many people thought that the store made a reasonable request. 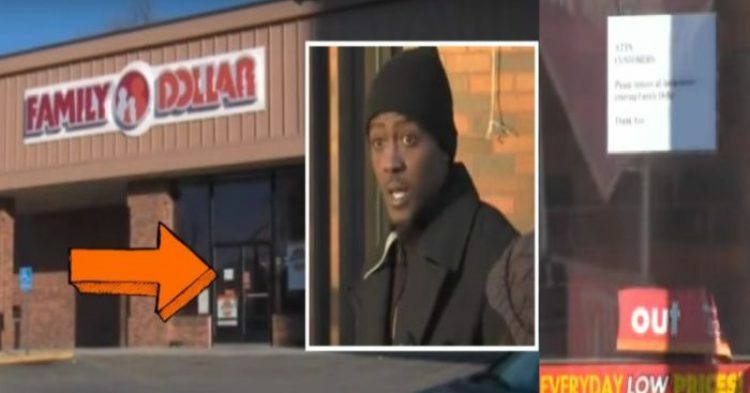 Although St. Louis locals, who are facing a lot of racial tension and disconnection concerning the way things are said did not find the sign too surprising, Family Dollar headquarters knew that it had a racial connotation and has launched a serious investigation into the St. Louis location. 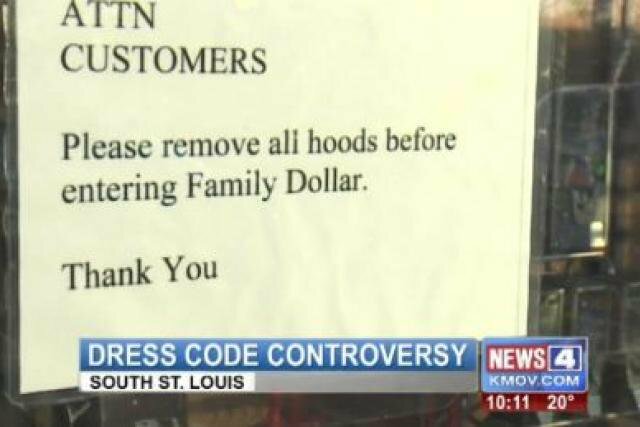 The corporate office released a statement obtained by KMOV that said: “The Family Dollar headquarters was initially unaware of the hood ban and has begun an internal investigation into the matter. Because hooded sweatshirts are often associated with African American people, people felt that the rule to ban people from wearing them unfairly and disproportionately targeted people of color. While some people disagreed, asking “when did hoodies become a black-or-white thing?” the corporate headquarters of Family Dollar decided that this was not the correct way for the store to go about their security and shrinkage issue. The sign was not intentionally racist. But it does carry with it racial baggage that could seem unfairly discriminate toward people of a certain race. Racism is not always intentional.